Welcome to Spring Craft Week at The Shabby Nest! 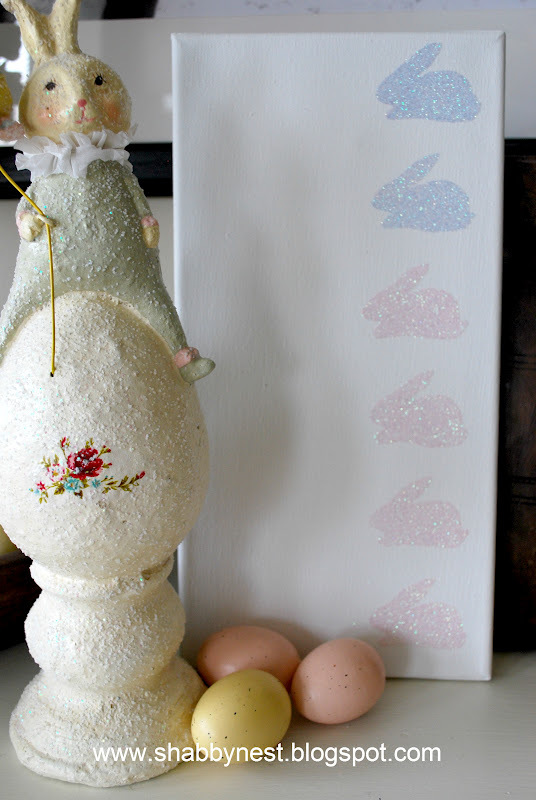 With Easter right around the corner, I thought it might be fun to share a few Spring/Easter craft ideas with you all this week. And today, I wanted to show you an easy way to create your own glittered canvas & cards. 1. 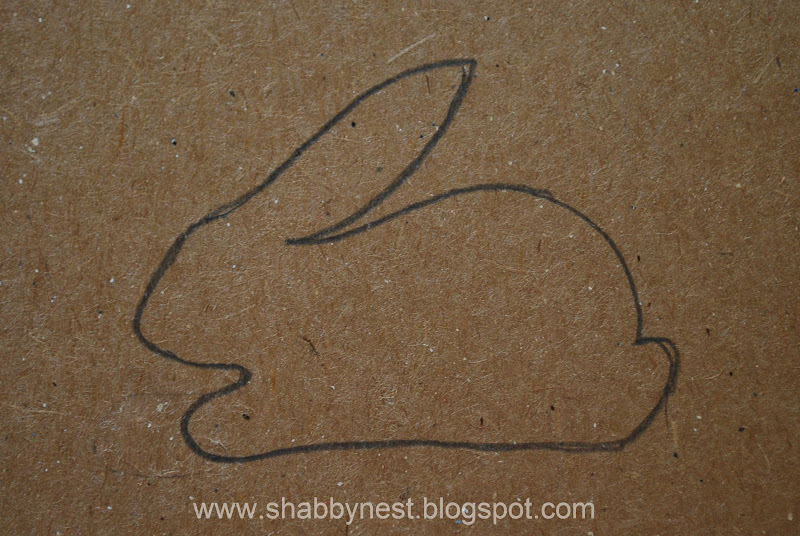 Start by drawing the shape you'd like to use on a piece of cardboard. 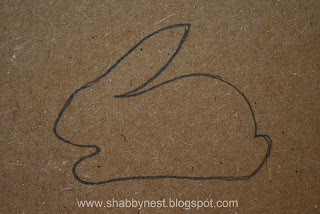 In this case, I drew a rabbit for Easter. Just make sure that whatever shape you choose is a simple shape with few details. 2. 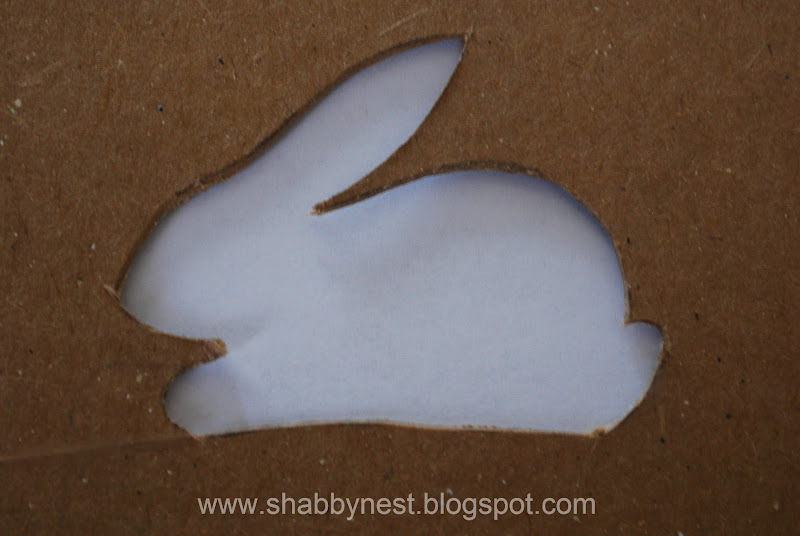 Use an X-acto to cut the shape out of the cardboard. This will be your stencil. 3. Take your stencil, and a stiff-bristled paintbrush (paintbrushes work better than foam brushes) and spread the Mod Podge onto your paper. 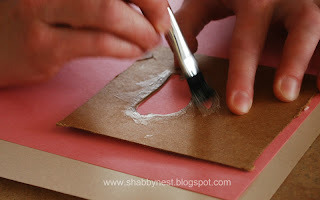 Make sure you pounce the brush at the edges of the stencil and brush any excess Mod Podge toward the middle of the shape. 4. 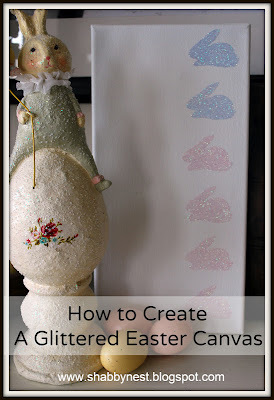 Remove the stencil and sprinkle glitter onto the shape. 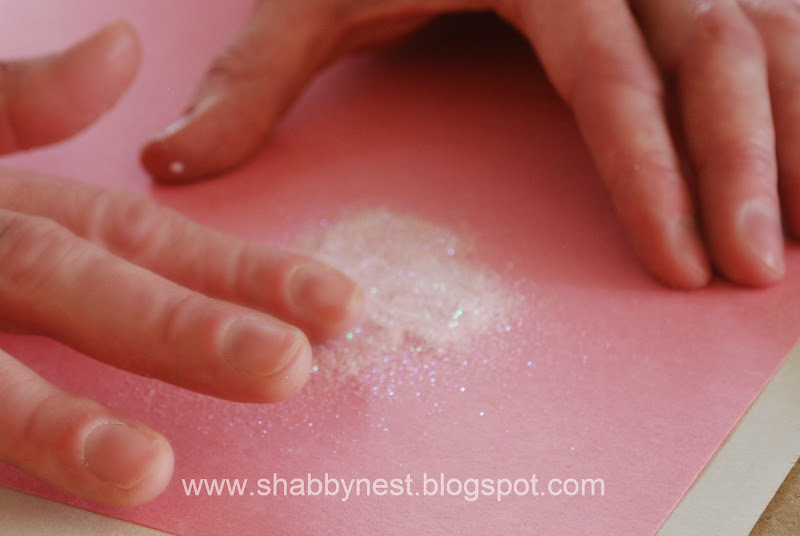 Then gently press the glitter to the Mod Podge with your fingers. 5. 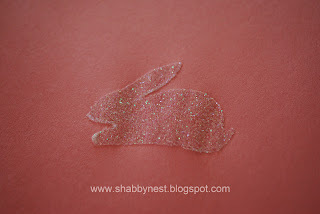 Shake the Glitter from the shape. NOTE: Do not use your final paper or canvas the first time you use the stencil. Always have a practice paper to use for the first one or two tries. As a matter of fact, the more times you use the stencil, the sharper the edges of your glittered image will become because the dried Mod Podge actually makes the edges of your stencil "cleaner". To aid with this effect, allow the Mod Podge to dry on your stencil between applications. 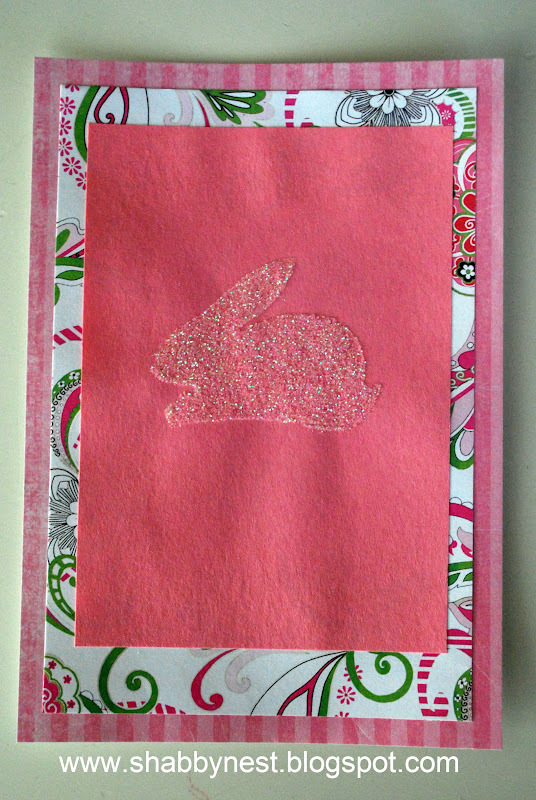 And a finished Easter card. 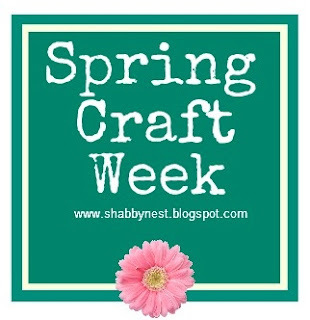 The possibilities are endless...and it's so simple and fast, even the kids can help! That is just too cute and it is simple enough that I will actually do it. Thanks so much! So cute! 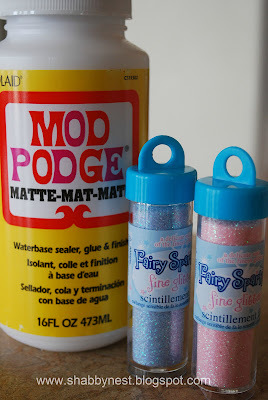 Makes me want to break out the glitter. Thanks for sharing. So cute. The canvas is darling! !